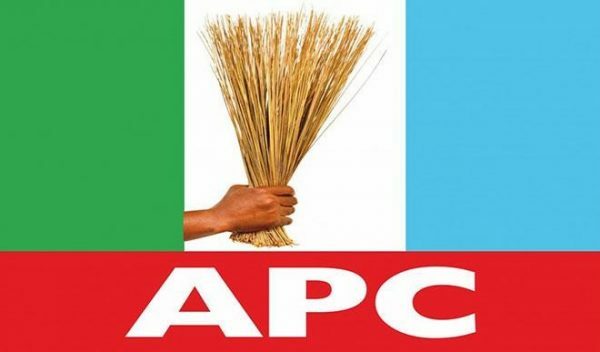 Attempts by the All Progressives Congress (APC) to successfully nominate a candidate who will deputise Barr. Emmanuel Jime in the 2019 governorship election in Benue state has ended in stalemate. Jime, the Managing Director of Nigeria Export Processing Zone Authority (NEPZA), emerged a consensus governorship candidate of APC October 2nd, during the partyâ€™s primary in Makurdi. Since then, the party leadership began the search for whom to field as deputy governorship candidate, with special interest in Benue South senatorial district, comprises of Idoma and Igede. No fewer than 13 prominent personalities from Benue South indicated interest in the number 2 job. But as the politicking, intrigues, scheming and propaganda continued, the interest started ebbing away. The month-long search also brought hitherto friends and allies in unintentional cobwebs of imbroglio, with attendant sponsorship of malicious propaganda against each other in the media, while fans and supporters always lurk the social media, to either announce or congratulate a candidate of choice, or attacking the personality of other candidates. DAILY POST gathered that, some elders of Idoma extraction were mandated by the leadership of the party to intervene, with the view to prone down number of the aspirants and possibly reach a consensus. The elders forum which comprises of Gen. Lawrence Onoja (Rtd), Chief Ameh Ebute, Chief Steve Lawani and others, ended in stalemate. The reason, according to a source, was not unconnected to divided interests and exorbitant fees charged on each aspiring candidate. Baring in mind the time frame for submission of nomination to the Independent National Electoral Commission (INEC), the leadership of the party at the state level mandated APC Benue Council of Elders, led by Senator Jack Tilley Gado, to resolve the matter. The council was said to have been able to reduce the contest to only 2 participants, and last week, names of National Commandant of Peace Corps of Nigeria, Amb. Dr. Dickson Akoh and former Minister of State for Niger Delta, Dr. Sam Ode were submitted to the leadership of the party in Benue. Our correspondent gathered that, series of meetings were held in the last one week by APC leaders, with continuous consultations with the Eldersâ€™ Council on how to positively arrive at a consensus; none of the meetings was said to have yielded positive results. With the deadline for submission of nomination to INEC pegged for October 2nd, the party elders called for yet another meeting on Friday, 2nd October at Ebitu Ekiwe street, Utako, Abuja. Our correspondent who trailed the meeting reported that, the 2 last men standing were met by some Benue elders, separately, to see if anyone could play the gentleman to allow a name be submitted. The exigencies of the assignment also prompted another meeting in the residence of the leader of the party, Senator George Akume in Maitama, Abuja, where the elders were also seen present. The meeting which lasted into the midnight also ended in stalemate. A source at the meeting which was held behind closed doors told our Correspondent by 2am that â€œno decision has been taken on the 2 of them yetâ€. Our source at INEC, however, confirmed early hours of Saturday that, a name was submitted to the commission by the party leaders and nomination forms issued to the party. The source which pleaded anonymity, however, refused to disclose the name of the deputy governorship nominee, saying, â€œthe commission will soon publish all the namesâ€. A source within the ranks of party leadership confided in our reporter that, none of the 2 last men standing was nominated to INEC. According to the source, â€œwhat the party did was to submit a name to meet deadline of INECâ€, adding that talks were on going to resolve between Akoh and Ode, wherefore, the name with INEC shall be substituted with whoever emerges. When asked if the nomination forms had been given to the nominee, the source authoritatively said the forms were kept with the party leader, until the issues were resolved. When contacted, the Director of Media to Benue APC, Apeh Peter, declined comments on the name submitted to INEC. He said, â€œRight now as it is, I cannot address the press on that matter. I should be able to get back to you at about an hour or 2 hours timeâ€. Apeh, however, confirmed that discussion was still ongoing and in about 2 hours, the party would decide who to nominate. Our investigation, however, revealed that a womanâ€™s name was submitted to INEC. A close ally and former aide to Sam Ode, Hon. Linus Ejilogu, had early this week assured our correspondent that his boss was picked and his name fielded at INEC. Ejilogu promised to send photographs of Ode with the INEC forms, but up till the time of filing this report, no photograph was sent. Meanwhile, an aide to Dickson Akoh, Mr. Stephen Alechenu expressed disappointment over what he called â€œlack of sincerityâ€ on the part of the APC leaders which has brought â€œstressful momentâ€ for his boss. He recalled that his boss was not having interest in the position until leaders of the party, especially from Benue South, started persuading and pressuring him to accept the nomination so his name could be sent to INEC. â€œAs things are going, Iâ€™m not really happy with the way they are putting the aspirants through stress. If things continue this way after this weekend, we shall advise our boss to tell the party leadership that he is no longer interested. At least, let him continue with his other rewarding activities,â€ Alechenu said.